Bankruptcy is either the liquidation or reorganization of a person's or business's assets in order to pay the claims of creditors. But not everything you own gets treated alike in bankruptcy courts. Federal law exempts certain kinds of assets from seizure to satisfy creditors, including 401(k) plans, pensions, a limited amount of home equity, a limited amount of life insurance, and the like. However, each state has the option to accept the federal limits, or adopt their own. Each state, therefore, has different rules on how much of your home equity is protected from the reach of creditors in a bankruptcy, according to Corey Vandenberg, a bankruptcy attorney in Provo, Utah. Furthermore, you may want to let the house go if you are simply hopelessly underwater on the home. If you are making $40,000 per year and you owe $200,000 on a home that's now worth $120,000, it doesn't make much sense to commit the after-tax income of over three years of your life just to come back even. Especially in non-recourse states, where lenders have no claim on borrowers' personal assets in the event that a foreclosure sale does not cover the outstanding mortgage balance. You may be better off letting the house go, saving the $80,000, renting for a while, and starting over by eventually buying another home at a more current market price. If your home has no equity, you can keep it in Chapter 7 bankruptcy. The lender still holds the security interest, although the note is wiped out. Because state laws vary substantially, it's important to consult with an attorney licensed in your state prior to declaring bankruptcy. Frequently, you can still work out a deal with the lender, depending on the circumstances and whether it makes sense for you to fight to keep the house. With Chapter 7 – a full discharge – filing for bankruptcy only halts the foreclosure process temporarily, until the bankruptcy proceeding has run its course. At the end of the process, the lender will continue with the foreclosure – unless you enter an agreement with the lender, reaffirming the debt. Which you may be in a better position to do, once your other payments – business loans, bank loans, credit cards, even a second mortgage - are wiped out. This provision can help you keep a home, car or other vital asset. A chapter 13 filing halts the foreclosure permanently – provided you keep making the payments agreed to during your chapter proceedings. If you're worried, don't panic, advises Vandenberg. The bankruptcy court system doesn't want you living in a van down by the river, he says. "There's usually some way to figure out a solution." If you are behind on the mortgage payments, or if you own more equity in the house than your state exempts, Chapter 7 might not allow you to keep the house. In that event, if you want to keep the house, you'll need to file under Chapter 13. This chapter will halt the foreclosure process, restructure your debt, and possibly allow you to make payments on the past-due mortgage amount. Bear in mind, though, that even this will not permanently forestall foreclosure if you can't make the payments. Bankruptcy doesn't eliminate a lien – your lender still maintains their collateral, and the right to foreclose if you default – even after you declare bankruptcy. If you can't make the arrears payment, plus the ongoing mortgage, you may well have your home foreclosed on, anyway. 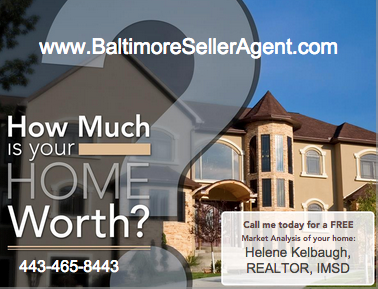 Contact me today to further discuss, no obligation.